The Boston Marathon turned from a test of endurance into a scene from a war zone in moments as twin blasts, 12 seconds apart, rocked the finish line. Over 170 people were injured, with three killed, including an eight-year-old boy. 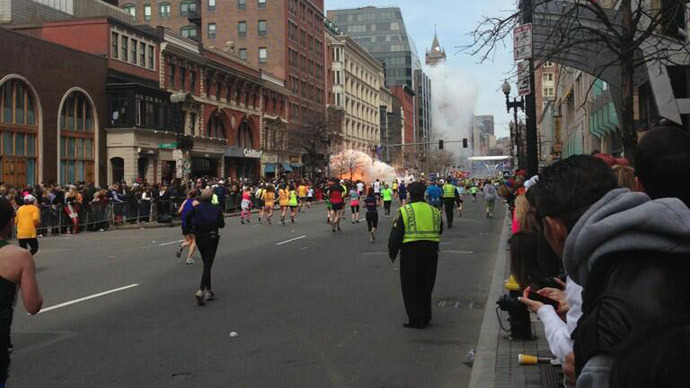 Two explosions occurred near the finish line of the 26.2-mile (42km) event at 2:50pm local time (18:50 GMT). The attack left sidewalks covered in blood and injured piled on top of one another, with many receiving serious injuries, including lost limbs. The marathon gathered half a million people from 50 nations. The authorities have not officially confirmed whether the explosions were a terror attack or not and no suspects have yet been identified. 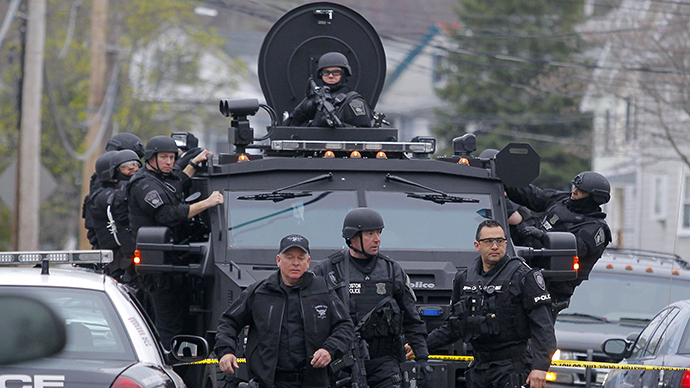 US Homeland Security Secretary Janet Napolitano said Tuesday there was no indication that the bomb blasts in Boston were part of a broader plot. Follow RT's Live Updates on the blasts. Witnesses described the events as a ‘major tragedy’ and the ‘scariest thing’ they have ever seen. “I was there with my sister when the first bomb went off. There was just a silence that went over the crowd and then immediately screams started happening, and she grabbed my hand and said, just start running!” Kara Kimball told RT. When the twin blasts occurred - almost simultaneously about 90 meters apart - many initially thought it was an end-of-the-event celebration with fireworks. Only after they saw plumes of smoke and people falling down with limbs torn off did they realize it was not a happy spectacle. “We started running but at the place where we were at, where the stage comes out where people run through the finish line, the crowd bottlenecks and it became immediately a very, very scary situation where a woman was on her bike and had fallen and people were just unable to get out and at that point the second bomb went off,” Kara recalled. "We saw the first bomb go off, and people…sorry…blow up in the street and then the one further down," she said crying. "We were worried it was going to go off in the stands where we were," Hannah Truslow told AP. Andrea George was watching the event from across the street: “It was the scariest thing I ever saw,” she told Boston.com. “When I looked up, I saw people with bloody heads, people with their shirts blown off, and what looked like a 10-year-old boy who was unconscious,” John Boyden added. Federal aviation authorities have declared a no-fly zone over the area and authorities including the US Air Force continue to attempt to secure the scene. The aviation restrictions have reportedly extended to an order that all flights out of Boston's Logan Airport be grounded until further notice. 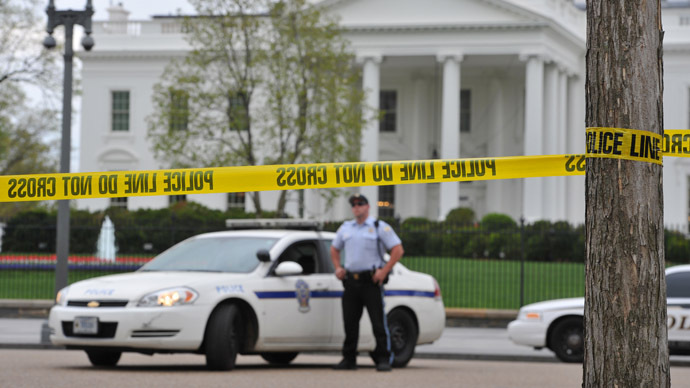 An intelligence official working on the scene told the Associated Press that two additional explosive devices were found inside garbage cans near the site. As law enforcement look for further explosives, they have reportedly told people in the area to stay off mobile phones for fears that the signal could detonate another undiscovered device. — Max Blumenthal (@MaxBlumenthal) 15 апреля 2013 г. A source at Boston's Mass General hospital claimed that at least 10 patients have been admitted to the facility's emergency room with missing limbs after the accident. — Jackie Bruno (@JackieBrunoNECN) 15 апреля 2013 г. Police denied a claim by the New York Post that a 20-year-old Saudi Arabian national was in custody as a suspect in the blasts. — Bruce Mendelsohn (@brm90) 15 апреля 2013 г.
Boston's John F. Kennedy Library was affected by a fire as well Monday afternoon, with initial reports linking it to the attack at the marathon. However, it was later reported to be a separate and unrelated case. 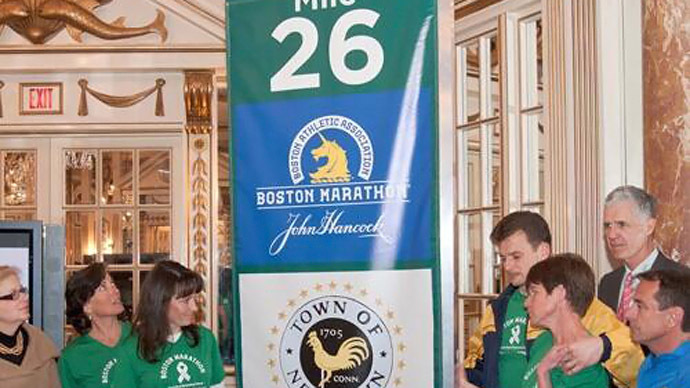 The Boston Marathon’s headquarters have reportedly put on locked down while authorities investigate the incident. Both US President Barack Obama and Vice-President Joe Biden have been made aware of the tragedy. "Obama has directed administration to provide whatever assistance is necessary in the investigation and response,” the Globe quoted a White House official as saying. Earlier in the afternoon, 23-year-old Ethiopian runner Lelisa Desisa came in first-place by completing the run in 2 hours, 10 minutes and 22 seconds. At the time of the explosions, though, hundreds of runners were still racing for the finish line. Among the wounded are a two-year-old boy with a head injury, a nine-year-old girl with leg trauma and six other children under the age of 15. The children are being treated at Boston Children's Hospital, which has declined to provide further details about the condition of the patients. 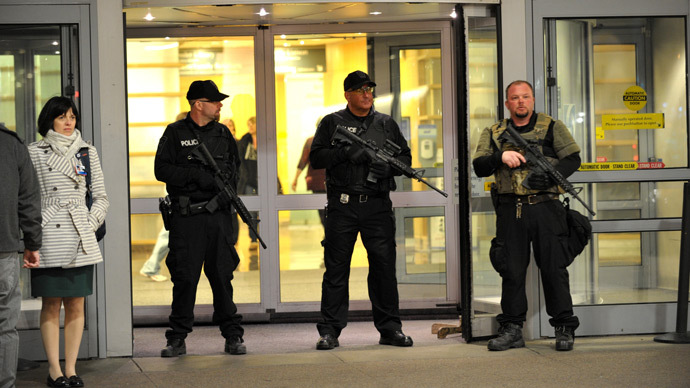 In total Boston hospitals are currently treating 126 patients, NBC News reports. Surgeons said they had performed several amputations by mid-evening on Monday. The names of the victims have not been publicly revealed. An eight-year-old boy, who was among the three confirmed dead in the Boston Marathon explosions, was identified as Martin Richard. The boy was waiting to give his father a hug at the finishing line when the bomb went off, the Boston Globe reports. The boy was waiting on the sidelines with his mother, brother and sisters. The mother and one of the sisters also received serious injuries from the blast. Peter Fagenholz, a trauma surgeon at Mass General, said the most serious cases - none of them children - arrived at the hospital within the first 15 minutes. He said the oldest patient he cared for was 71. "We take care of accidents all the time. It's just depressing that this was intentional," Reuters quoted Fagenholz as saying. He said many of the patients would have a difficult recovery. "A number of patients will require repeat operation tomorrow and serial operations over the next couple of days."